My new 2002 I35 came with a couple dents and paint chips. I wanted to post pictures of the dings and get opinions from the community. I am eager to do it myself, but if people advise against it, I would love to hear why. Also, I would love to hear if anyone else has had ding repairs, and how they went about fixing them. 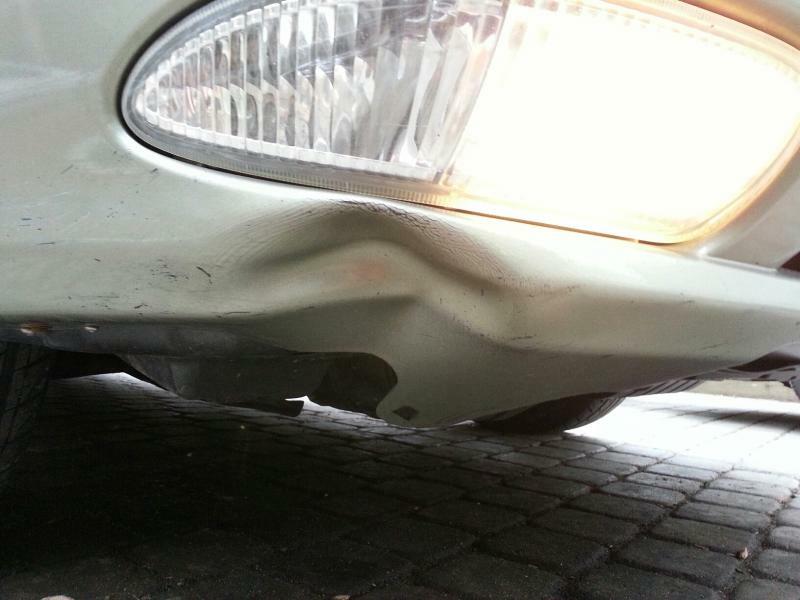 I'm about to start a rear bumper repair very similar to your front dent. First you want to try and get the dent to pop back out with some heat. Moderate heat from a heat gun. Careful you dont want to melt anything. Once the bumper is warm to the touch you should be able to push from the inside to get it to move back to it's original state. Mine popped back and now I have to take care of the road rash on it. For that sand around the area with 120 grit until you are down to plastic, fill in any deeper scrapes with filler. Sand area again with 600 grit but larger than the original area because you want to feather the edge of the plastic with the old paint. Clean and degrease area. Apply adhesion promoter. Apply primer with flex agent. Apply colour matched paint. Apply clear. Lots of vids out there to help. Awesome description! Thanks! I feel like I got lucky on this dent, because it is easy to get my hands behind it. 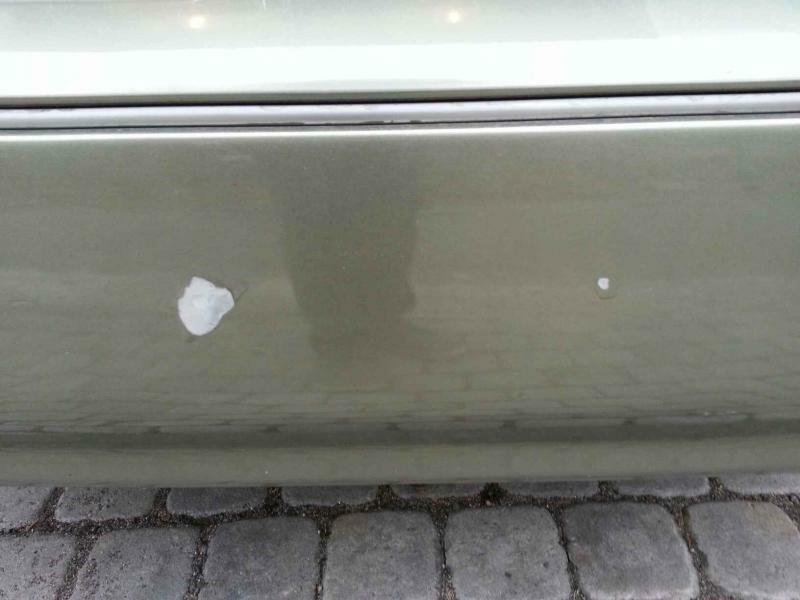 I am slowly collecting materials to get the dent and chips fixed. 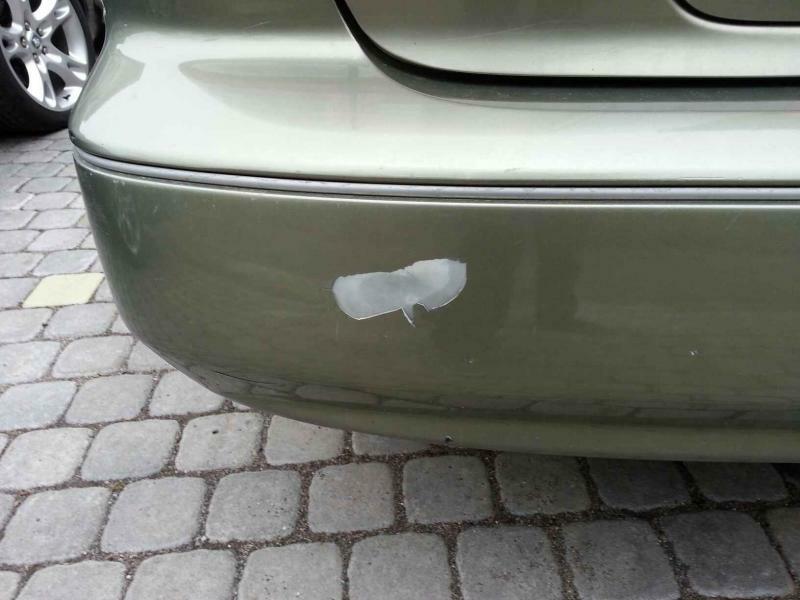 I just bought some paint from AutomotiveTouchup.com. Any recommendation for filler? I can't remember the name of it but ask specifically for filler for plastic. Good luck with the repair.